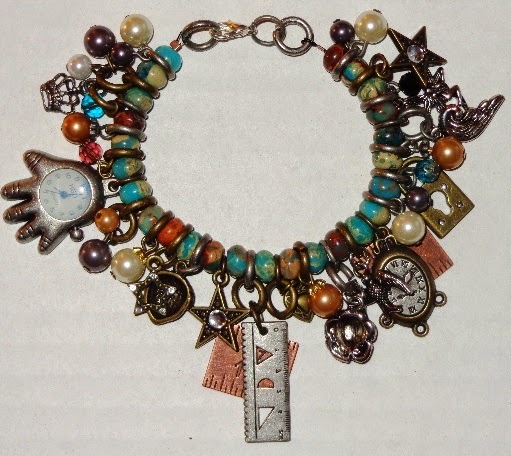 One of my favorite things about charm bracelets is the fact that each one is a reason to celebrate and tells a different story. They can be created for milestones or to convey specific messages or just for the hell of it. You can show your love for something in particular like Art, sports or music. Each of these was created with different emotions like every piece of Art I create. Being an eclectic artist I never stay on one path too long and I have a short attention span which is why some of them have all kinds of mixed messages.